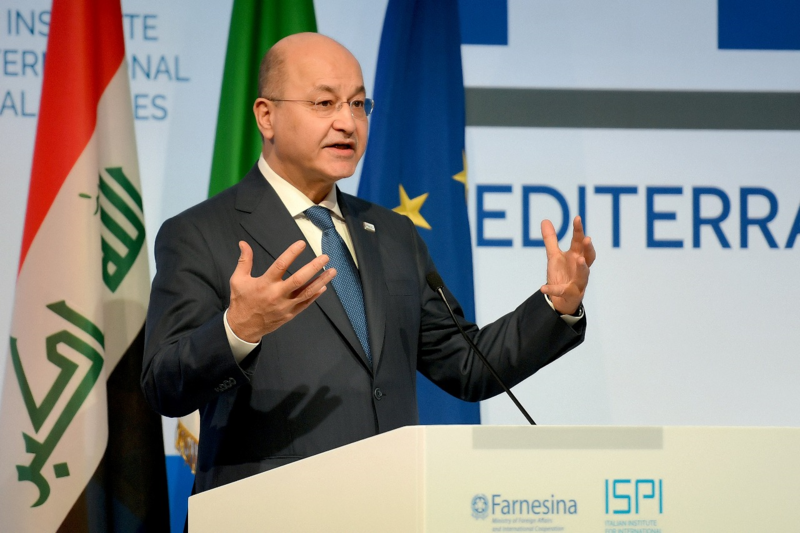 President Barham Salih affirmed that we will not forget the crimes of the recent past, as remembering those crimes helps us to unite our ranks in order to prevent the reemergence of tyranny once again. 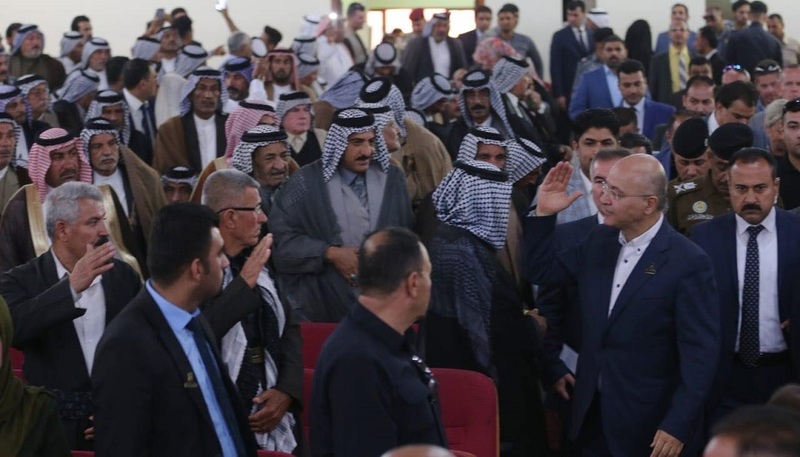 His Excellency met with the social and cultural community leaders, tribal Sheikhs, and dignitaries at al-Ghadeer Hall in al-Muthanna Governorate Headquarters on Sunday, April 14, 2019. 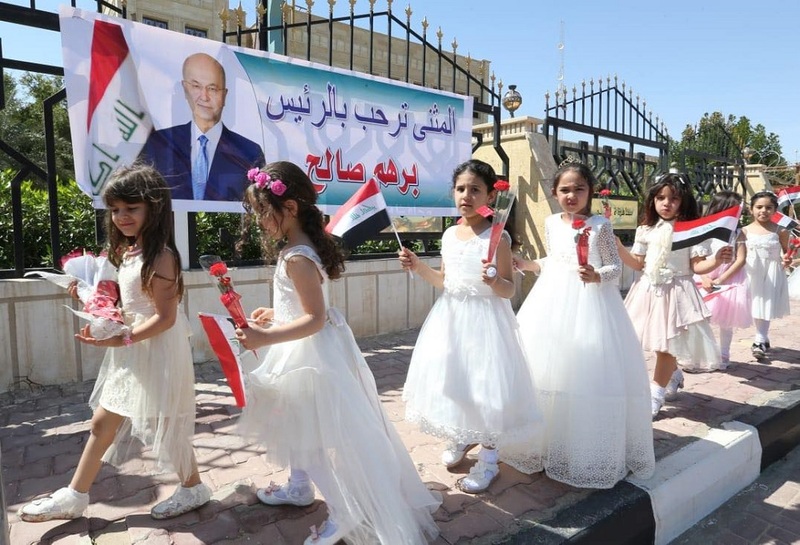 The President said, "I have come to you in a tragic and painful memory committed by the defunct regime, which massacred defenseless civilians and killed thousands without guilt unless for the regime’s brutality and injustice to the Iraqis as Kurds, Arabs, and Turkmen as well as Muslims and Christians. 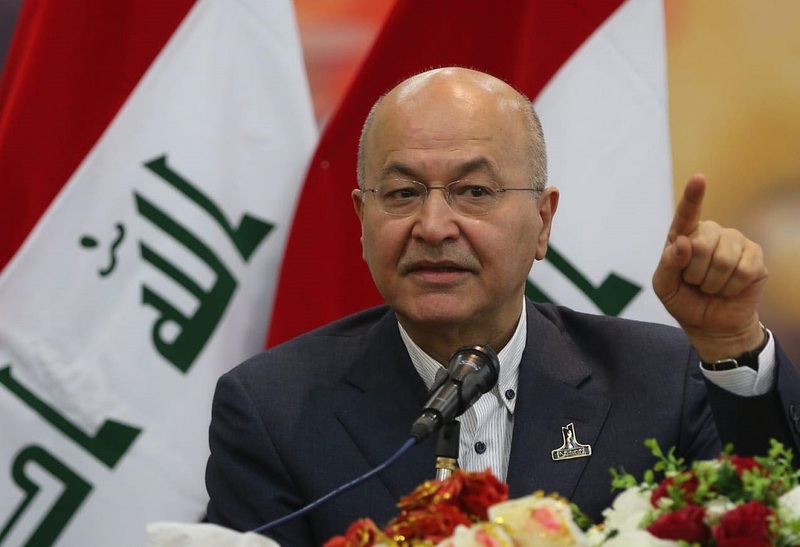 His Excellency indicated that the overthrow of the former regime required great sacrifices because it was unfair. The people of Kurdistan, the middle, and the south of Iraq share the regime’s injustice and inequity. 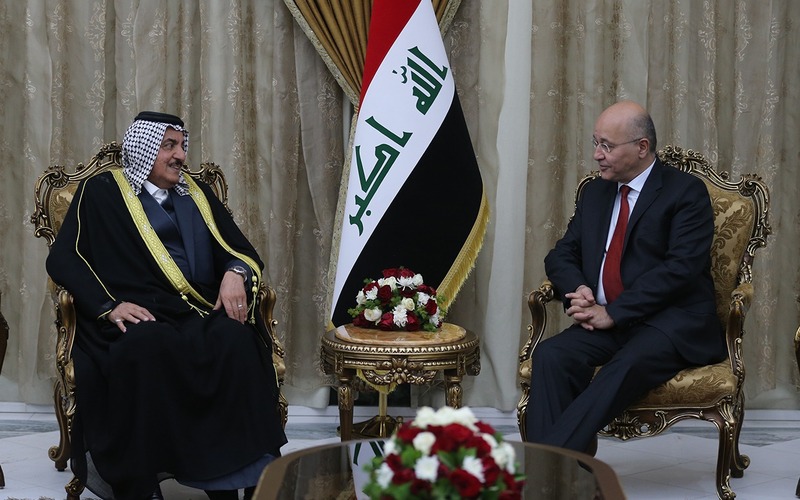 The President indicated that our people in Samawah have embraced their Kurds brothers in a great feat for the Province. His Excellency added that we share a safe and prosperous country whose people should enjoy its benevolence and wealth. And in order not to recur tragedies in the country, there should stand against the corrupt who are preventing the good to prevail. 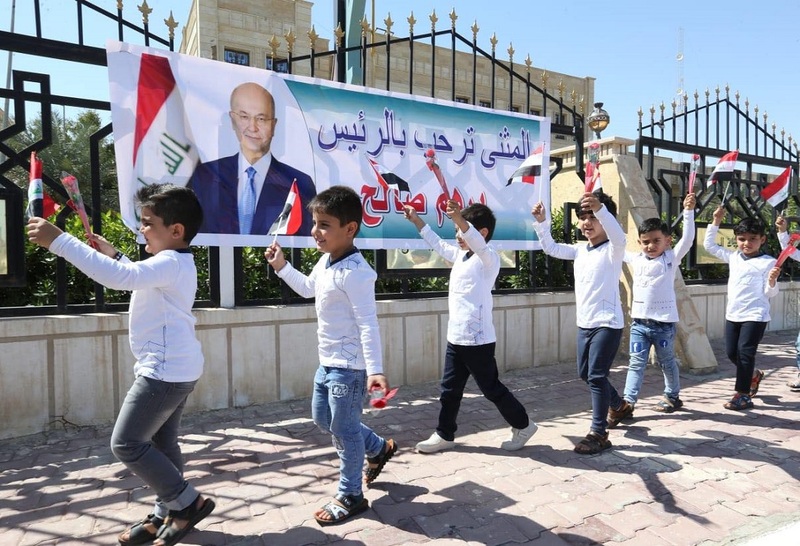 President Salih emphasized that the Province, which is dear and beloved to my heart, deserves from us in Baghdad a greater support and backup as we have a Government that has an ambitious program to achieve services, and there is a popular determination to implement it. This requires coherence among its communities in order to dedicate victory and recover the country from the corrupt. His Excellency said, "My promise to you the people of Samawah, the people of generosity and magnanimity, as I know your kindness, your generosity and your tolerance. My father was among the thousands who were displaced and lived among you. You were the best supporter for him and for the victims while you are suffering injustice. I Promise to serve you as President and brother. The Prime minister and I will meet you in Baghdad. I have requested an applicable special dossier. They have told me that there are no people of Samawah working in the Presidency. I say, consider me as being part of you, and for you, as your brother. 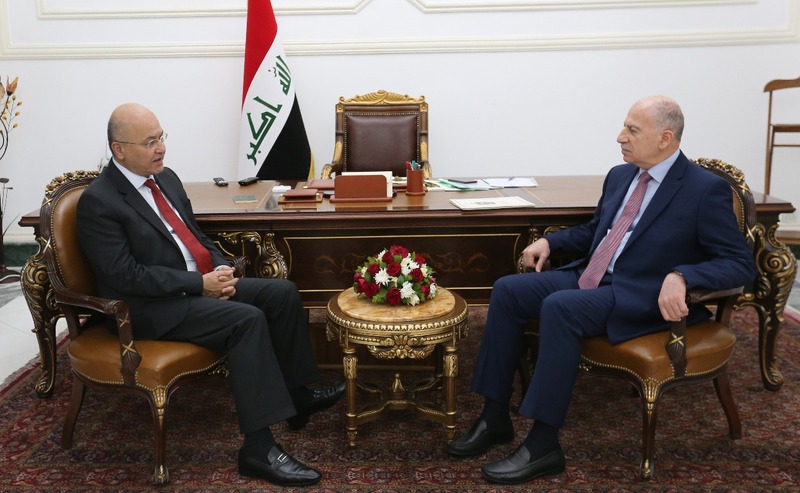 The President added that our support for our people from the families of the victims of Anfal, martyrs, and mass graves requires achieving the required justice. Thirty years ago, Saddam have ordered the execution of defenseless civilians and have aimed weapons to bomb villages and civilians with chemical bombs in Kurdistan, the middle and the south of the country, for nothing but because they did not accept an oppressive ruler.